Grand Prix fever is go! Every time race weekend rolls around, I’m reminded how much of a lucky little girl I am – to have a chance to get so ridiculously close to the action for something that I’m super interested in and excited about! It’s the one week in the year where I LOVE working overtime. I don’t care if its midnight and I’m still clocking hours at the Pan Pacific, or if I’m on my feet all day sorting out minute logistical details. Its the one week in the year where I’m doing something that everyone else wishes they were doing, and for these few days, I suddenly become the person that everyone wants to speak to, instead of being the one that has to beg people to hear me out. Full disclosure: I work in a PR agency, and Shell is a client of mine. Their technical partnership with Ferrari is the reason why I get to do all the cool stuff every time the race rolls into town. Part of the job means I get to spend double the time that most people spend in “race weekend” mode, simply because the weekend starts earlier for me, normally the moment the circuit starts to close. I was there last night as road access shut down, and all the barricades and walls were locked in place. Our pre-race engagements kicked into gear today, a long way away from the track, but a definite sign of good things to come in the next few days! What a welcome! Was greeted by this (not so) little guy when we went down to do a filming session with the local TV station to kick off the Grand Prix weekend. 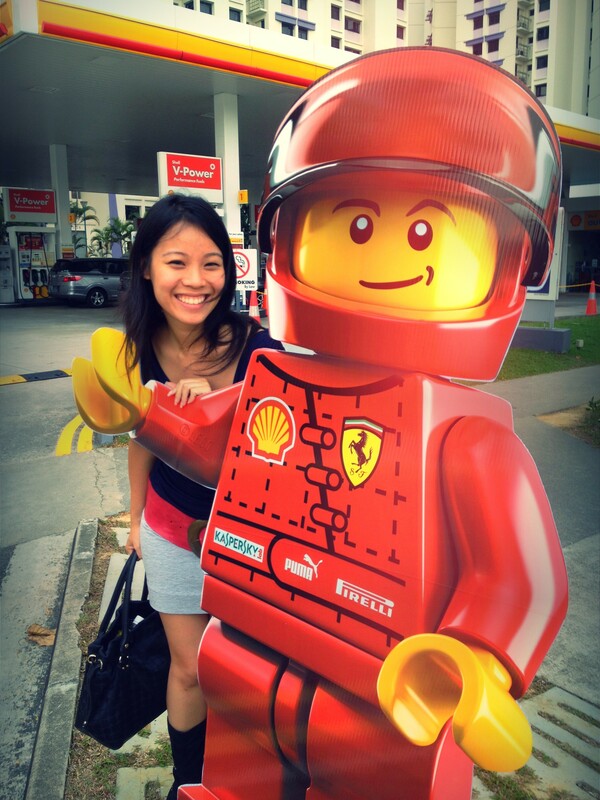 Full disclosure: I work in a PR agency, and Shell is one of my clients. This whole partnership with LEGO and Ferrari has got to be one of the cutest and best things I’ve gotten to work on this year, though it seems like I’m the only overgrown baby that’s excited about all this. I’ll probably need that to power me through the day though, because tomorrow, things really heat up. As the only day where teams can really concentrate on non-race related stuff, Thursday is always a really busy day for driver appearances, photo calls, media sessions and the like. We’ll be no different of course, and I’m crossing my fingers that tomorrow will go smoothly, and that this race throws up more awesome moments just like the last ones did. More to come soon! 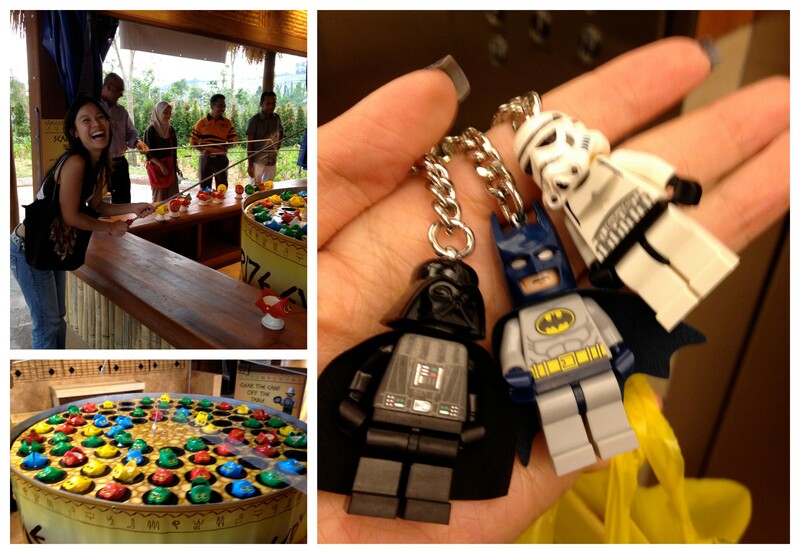 Brickmania: A sneak peek at LEGOLAND Malaysia! I am admittedly, not the much of a LEGO expert myself. In fact, I quite clearly remember my early experiences with LEGO involving feeling rather inferior about the colourful walls I built beside the cars and planes and my cousin (now training to be an aeronautical engineer) would make with ridiculous ease. Add this to the fact that I’m rather motion-sick and don’t do well with amusement parks and rollercoasters, and its pretty clear why a trip to any of the LEGOLAND parks has never been on my list of to-dos that I would be willing to spend a bunch of cash and a day off on. Things would have likely stayed unchanged if this opportunity had not presented itself. But it did, so off we went, in what was a small landmark moment for me – my first time driving into Malaysia on my own, in a Singapore-plated car. The news about safety in Malaysia has been pretty bad in the last few months, so I was a little apprehensive about the journey. Thankfully though, it was smooth, traffic-free, and LEGOLAND is so close to the second link that it literally took us about 10 minutes from the time we crossed Malaysian customs till the time the park came into view. Of course, in it’s pre-opening stage, not all things were completely up and running yet. The carparks were not ready, certain rides and attractions were not yet running, and brick shop was not yet open, but already, the short half-day trip was enough to change my mind about LEGOLAND! Just minutes from Singapore, and we got to have a sneak peek before the general public! I went with Yasmin, who’s been working with me on all things LEGO-related in the past months. By the time we were at the entrance, we were bouncing around like a couple of excited four year-olds outside a candy store. All those childhood memories, instantly forgotten! We didn’t have a long time to spend at the park – seeing as how we were already lucky enough to get some time off work to even visit. Because we weren’t given a map with our tickets, and us excitable energizer bunnies just bounded in through the gates, missing the area for you to pick up a map at the entrance. We ended up exploring the park “blind”, leaving after we had gotten on the big rides and it was well, time for us to head back. We only discovered after coming back that we had only seen two thirds of it! Big time boo! A second trip to see everything when when the park if fully open and everything up and running is definitely on the cards! So you don’t end up like us, here’s a park map so you know exactly how much there is to see! 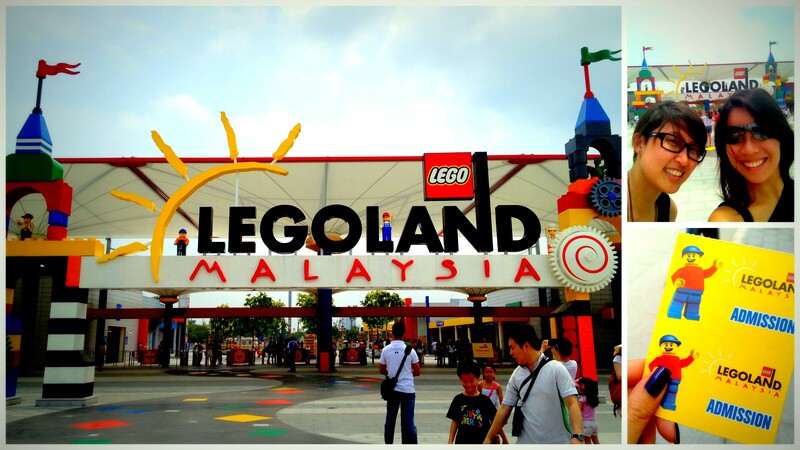 Of all the sections in LEGOLAND Malaysia, we didn’t manage to cover LEGOCITY and the Land of Adventure, which was a major bummer. But of those that we did see, my favourite would most definitely be MINILAND. 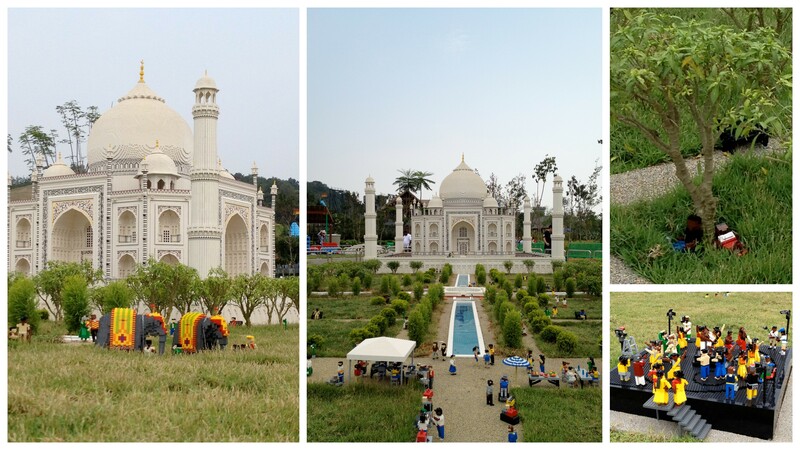 The centerpiece of every LEGOLAND park around the work, the one here recreated some of the most famous landmarks in countries across Asia, which is what I feel, makes our park as the first one in Asia, much more exciting than the others around the world – it’s all relevant to us. We actually had an unhealthy amount of fun trying to guess which landmarks and buildings belonged to which country, seeing as how none of them were labelled. And of course, Singapore featured very prominently, given how most of their visitors will no doubt come from our end of the Causeway. And since these are sights that we are all very familiar with, its even easier to see how realistic and true to life these miniature LEGO landscapes actually are. The Merlion and Fullerton Hotel, the Singapore Flyer, and Riverside Point, all looking so much like the real deal! What made the displays even more impressive though, was the robotics behind them that really brought each static landscape to life. Vehicles would ply the roads, the Merlion would spit water, boats would sail across the lakes and bop in the waves. The best place to see this was the Port of Singapore Authority exhibit. It was our container port and shipping hub, with cranes moving up and down, lifting and lowering containers! AMAZING! It was a while before we could tear ourselves away from MINILAND, but once we did, we hit the point of no return – the rides. You’d think that going prior to the official opening would mean that we wouldn’t have to battle with crowds. Well, I would say that we had it easy in that we never really had to wait very long to get to the front of the queues, but there were most definitely queues at every single ride to be had. We didn’t do very many – just the park’s two roller coasters. I have a bit of a phobia of roller coasters that ALSO comes from a bad experience in my early years. My first time was an indoor one in a giant golf ball shaped globe at a German amusement park called Europa Park. I hated most of it because it was terribly uncomfortable and it just wouldn’t end. I felt worse and worse because of my nasty motion sickness, and that first experience ended with me throwing up after taking a few steps away from that nightmare on rails. I have never wanted to ride one again to avoid having a repeat experience, and actually stayed away for 12 whole years, until this trip where I finally gave in to my squealing travel buddy. I would suggest graduating up the rides, going for the smaller roller coaster first, the one outdoors, before moving to the big one, which is inside the LEGO Kingdom (the giant grey castle). That should be the last stop, if not you’ll get absolutely no kick from the rest of the rides, plus it helped scared little me build up my confidence. It was fun, I screamed my head off, and did not even feel the least bit queasy! I must warn though, that the rides are VERY short. Great if you want a bit of a rush and no chance to really start feeling ill. Terrible if you spend 2 hours queueing for them on a public holiday. All in all, even though we only had a couple of hours to spend there, we both thought LEGOLAND was fantastic – definitely exceeding my expectations. 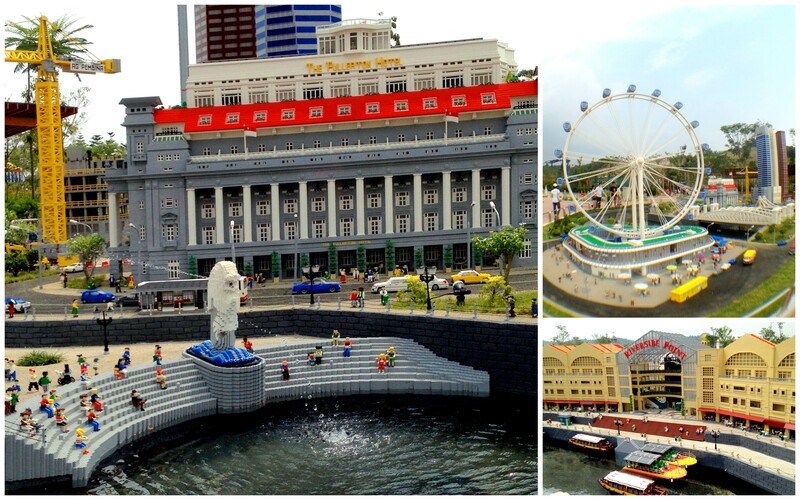 The whirlwind tour of Asia is probably more exciting than viewing the history of Europe of American cultural icons, plus, while you don’t get to touch the MINILAND exhibits, there’s plenty of chances for you to get up close with really good LEGO models all around the park. That, plus of course, many little games to play, and a ton of cute stuff to bring home from the gift shop. I bought a few of these for people and you have no idea the squeals of joy when they got them! How amazingly cute are these little Minifigure keychains? And who remembers playing the awesome fishing game as a kid? LEGOLAND GOT LIFE SIZE ONE! Budget at least 6 hours for the trip so you get to see everything at the park, and try to make sure you leave by 4pm to avoid the jams on the way back. We left at 5pm, and got stuck on the AYE for 1.5 hours. Not funny. It’s hot as hell, so bring sunglasses, umbrella, fans, cold drinks, sunblock, and whatever else you’d need for a long day in the open. The park opens officially on 15 September, and the annual pass looks like a decent deal – two trips a year and you’ve made your money’s worth. From a non-LEGO, non-amusement park fan, I say its definitely worth a trip or two!